built with an used 50 CD rack box. It works pretty well! 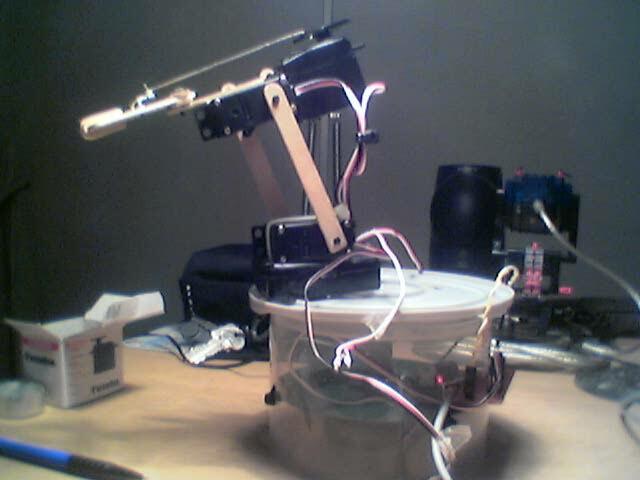 and converts it into position commands for the servos. source (Linux, Apache, camserv). I have published a descriptive article of how to achieve this. This is the description of the first version of the robot with windows controller software. of these days I will add it to the RoboMenu. I hope this information is enough. Please contact me if I need to provide more info.